Identify the correct logical volume to mount. The command lvscan will display all logical volumes attached to your system. You will not be able to mount this by using the usual methods for mounting an lvm partition on linux. I have not tried to find out why. Only fuse2fs can successfully mount this. Only root can read the drive though. You may have a better way of accessing this content, but I personally just ran nautilus (the default file manager in ubuntu) via sudo because I was desperate to get at my data and this was an otherwise empty Virtual Machine I created specifically for the purpose of recovery. 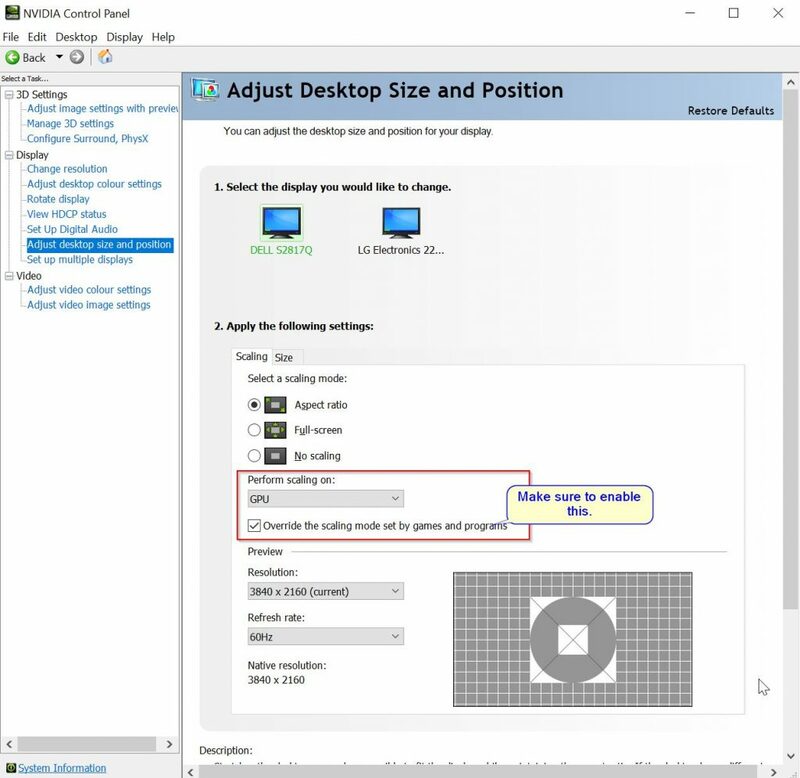 Please feel free to tell me in the comments if you know a better way to access the mounted partition without running nautilus as root. You need to beware that if you’re ordering one from Human Centric directly and shipping it internationally, if your shipping method is Fedex, they will slap on an un-announced fee of (for me it was) £16 for the convenience of paying the ~£0.50 worth of import fees you owe on this £25 item. (This was the case when I placed my order in the second half of 2018). Basically, I received the item on time, and then a couple of weeks later received an invoice from Fedex for £16. It didn’t feel worth the trouble of mounting a legal challenge against Fedex for this, since I don’t think I ever agreed to this. Furthermore, Human Centric themselves do not make this obvious on their website, and when I left a review mentioning this, it wasn’t published. The buttons are supposedly touch-sensitive, but require a slightly disconcerting amount of pressure to activate, unless you’re lucky and hit a very tiny special spot on the button. Setting the cooking time is frustratingly tedious because the designers for some reason felt that once you start cooking, the only way to add time should be to cancel the program and start all over again with the newly desired time. I’m baffled by how it’s possible that the people who bought and use this Microwave could give it such glowing reviews at Argos. I would personally rate it 2 stars for this reason, and I won’t buy it again given the chance. wait for the LAN interface to be online (since my dnsmasq listens only on LAN), and then start the dnsmasq service. Once you have created the service file, you must enable it with sudo systemctl enable dnsmasq.service . You of course need to make sure to use the correct device names for your system (my network device is listed by systemctl as sys-subsystem-net-devices-enp4s0.device). You can list all the devices systemd knows on your machine using systemctl -t device. Use grep to filter for your specific device (interface) name if you know what it’s called. Mine was called “enp4s0”. It is wanted by my LAN ethernet device, so it is launched when the device has been registered by udevd (or whatever subsystem handles this). It’s of type “forking” because dnsmasq is a daemon which forks itself and you need this configuration for systemd to track it correctly. In order to wait until the LAN is actually routable, I had to use the ExecStartPre (thanks #systemd) to use the systemd-networkd-wait-online application. ExecStartPre just executes specified binary or script before it actually launches your desired process. this application basically blocks until the specified interface is routable (which means it has an IP address). You must use the full path to the executable. Another installment in this series. If you are used to dropping scripts in /etc/network/if-pre-up.d/ and seeing them get executed just before the network subsystem is up that’s another thing that doesn’t work in ubuntu Bionic, and you get no feedback that it doesnt. Don’t panic though, because here I show you how to accomplish partially similar results. I say partially because my proposal here executes only on system boot, but that should suffice, because the firewall rules don’t disappear and need to be reapplied due to network status changes, and you will probably have other mechanisms in pace to deal with events that are related to network anyway. The straightforward answer is that you now need to create a systemd service, which executes the script you would normally place in /etc/network/if-pre-up.d/. As a digression, despite the fact that systemd renders much of my previously acquired know-how useless, I actually like the logic of it’s design and so I hope that the new knowledge I’m acquiring and sharing here will be useful for long into the future. Here’s my firewall rules script that I shamelessly adapted from Ars Technica: (the rules continue to be relevant to ubuntu Bionic, but the methods aren’t). logger "ROUTER: WAN: $WAN, LAN: $LAN"
logger "setting up base iptables rules"
#enable traceroute rejections to be sent. It’s pretty easy to understand I think. Type=oneshot means, execute the script and don’t try to daemonise it or something. WantedBy=network-pre.target is the systemd way of saying to execute something just before the network is configured, which is Pre-Network. Once this systemd service has been created, you need to enable it (otherwise, it won’t run at startup). Et voilà! Next time your system reboots, the script will be executed, and your firewall will contain the rules it set. Notice that I designed my script to write messages to /var/log/syslog so that there is some record of it’s activity in syslog for me to review on this headless machine. The “new” way to configure your network in Ubuntu 18.04 Bionic Beaver is to use netplan files in /etc/netplan/ instead of the age-old /etc/network/ . For some reason, /etc/network still exists and you get no warning that whatever you specify there will be ineffective. That sets one interface to DHCP, and the other one to a static IP address (there are two interfaces on this machine called enp3s0 and enp4s0). Then the correct dns servers will be fetched from netplan whenever you execute netplan apply. You just deployed yourself a fresh copy of Ubuntu Server 18.04 Bionic Beaver. It should be the latest and greatest, and you just need a virtual machine to do some web development or perhaps you just want to enable IP forwarding and use this machine as a router. That’s great, except the latest Ubuntu assumes that you are part of the current trend to put everything in the cloud, and so ships with something called cloud-init. I prefer to move, rather than delete, in case something goes wrong and you wish to restore the files. List the services which depend on network being online. This will list the culprits as some iscsi services that you probably don’t need. That should do to get the system booting without some service waiting endlessly for a network connection. The latest instalment in life with an Android TV. The picture above says it all. 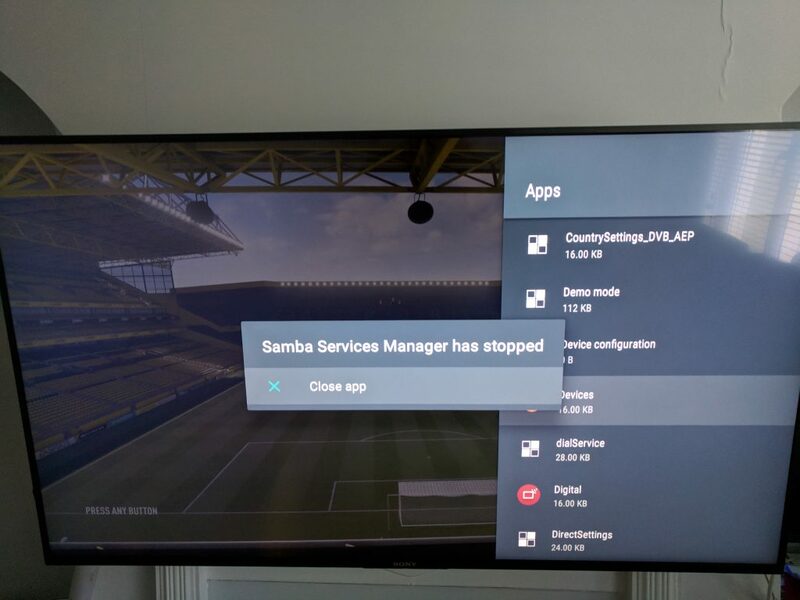 Samba Services is an app on the TV that Sony uses to analyse what you’re viewing so that it could build a marketing profile for ad targeting. You can disable this service like most non-system services in the apps list, and you can also execute the setup of the app and opt out of the tracking. You would think that if you’ve opted out of the service, and then gone to the apps manager and disabled the service, that would be the end of it… Wrong! You apparently can never stop the app from running. When you disable it, you get an infinite loop of popups as pictured above. Searching the web, you wind up at a Sony Forums post: Samba Services Manager has stopped . The only way to get rid of the message is to re-enable the service. Day by day, android TV gets me closer to becoming a believer of the Apple way.